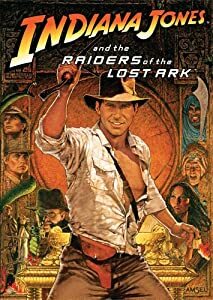 There can’t be too many people in the world who haven’t seen the film Raiders of the Lost Ark. There’s a lot to like about it. It’s one of my favourite films of all time. One of the best scenes, if not a little depressing, is the scene at the end where the US government locks away the precious Ark of the Covenant in a warehouse along with many other treasures and antiquities. It’s depressing because I can imagine some misguided government doing that just to keep the status quo. I mean the last thing that any government wants is radical change and the moral and ethical questions around a hotline to the supreme being are enough to make any politician’s toes curl. The warehouse reminds me of something else, however, my favourite book store. When I go into a high street book store, I tend to follow exactly the same pattern every time. I’ll go and have a look at the Science Fiction section and then I naturally progress to the Fantasy section as it’s usually right next door. I always take a gander at the graphic novels, just in case there’s anything there that tickles my fancy. Because of my profession, I have a little look at the computer section and the books that tell you how to be a good manager. Because of my routine, I am seldom surprised, and it’s rare that I buy anything. I’ve read pretty much everything I want to read in those sections and the pace at which new books are published means that I have many fruitless visits to the book store. My favourite bookstore, however, is totally different. It is just like the Raiders of the Lost Ark warehouse – a massive building containing many fine treasures. Why do I like it so much? Anyone with OCD who entered the building would have a nightmare as if there is any kind of organisation of the books inside, I certainly don’t know the rules of what goes where. But it is precisely this disorganised nature of storing books that I like, because I can’t just go to the sections I like. I’m forced to browse through books I wouldn’t even dream of looking at normally. Of course, you have to kiss a lot of frogs to find a princess, but I nearly always come away with some books to read, unlike when I visit the high street book stores. Not only that, but the books are heavily discounted too. The name of this house of treasures is “Books 66” and if you have one nearby, it’s well worth a visit.